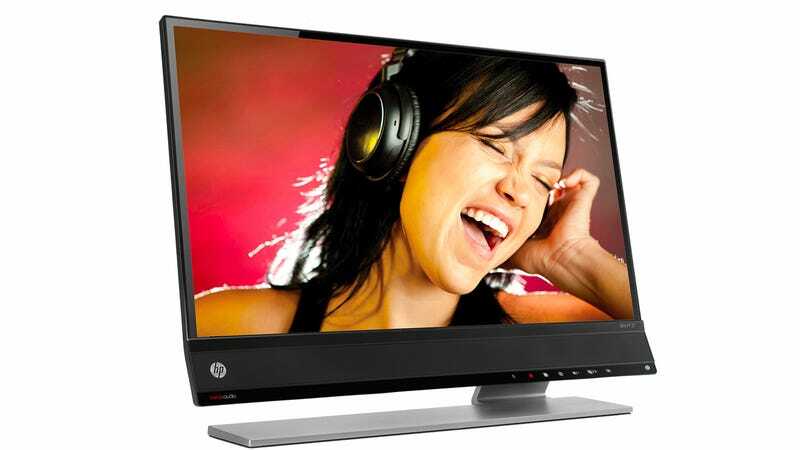 If you don't like the aesthetics of a set of speakers sitting on either side of your monitor, and can't stand wearing headphones, maybe HP's new 27-inch Envy monitor will appeal to your finicky demands. Like with its laptops, the company has integrated a set of Dr. Dre-approved Beats Audio speakers into the monitor, located at the bottom and angled slightly upward to blast directly towards your ears. For $500 come early February the display promises an "immersive audiovisual experience" it probably can't really deliver. But with a slim design, an extremely minimal bezel, and a 178 degree viewing angle, it's a nice option if you like to keep your music noisy and your desk tidy.